If you’re are a smaller business, from say 1 to 50 people, you may think of press releases as either something from another era, or at best, a minimally useful tool for your enterprise. Before the age of the internet, of course, press releases were one of the main methods for getting your information out to the media (which we called the press in those days). And it was mostly magazines, newspapers, radio and TV. Agencies and PR shops produced releases for their clients (for a pretty penny) and put them into big envelopes with 8×10’s and sent them on their way via the United States Postal Service. It’s an old vision, but it happened. Much has changed, and press releases are used differently than they were in the past. While they continue to be used to get the word out about new products, services, events, people and any other Marketable News, there’s actually much more. 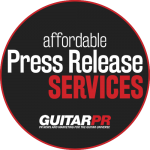 GuitarPR has introduced the holistic Multi-Purpose Press Release. Because we are sharply focused on your Market Messaging, we create strategies and content during the creation of your press releases that are designed to be used in multiple marketing situations from media outreach to social media to marketing communications and beyond. Our approach is naturally holistic. Press releases cannot be and should not be created in a vacuum. That’s why we spend the necessary time in the front-end to thoroughly understand your business, goals and objectives. We’ll always offer you our opinions and suggestions on how to improve existing messaging. When needed, we’ll create new or updated messaging and content you can use across the board. In other words, you get agency-quality work at an affordable and predictable cost from an established organization you can trust and enjoy working with. GuitarPR offers professional, affordable Marketing, Consulting and Press Release Services. Our Structured Media Services provide you with expert care in the development and handling of your press releases and marketing materials from writing and image composition to managing deployment, distribution and more, at much less than agency rates. If you need something different or more customized for your organization, we do that, too. Just contact us.